Born from the concept of the Nomad LT, the Nomad LT Extreme offers sidemount divers a low profile design combined with an increased lift capacity. Protected by the proven durability of SuperFabric material, the Nomad LT Extreme offers 35 lbs of lift. 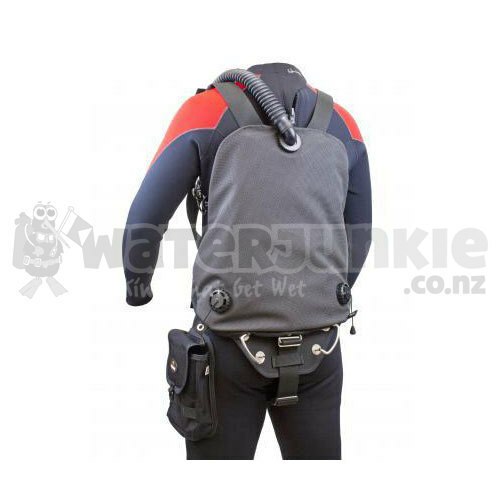 A combination of shape and contour of the bladder provide lift toward the lower back, the ideal location for achieving the optimum trim for sidemount diving. The integrated deluxe-style webbing harness uses pivot rings on the shoulders to give a comfortable and customizable fit for nearly any size diver. Padded shoulder straps provide added comfort for divers using minimal exposure protection. 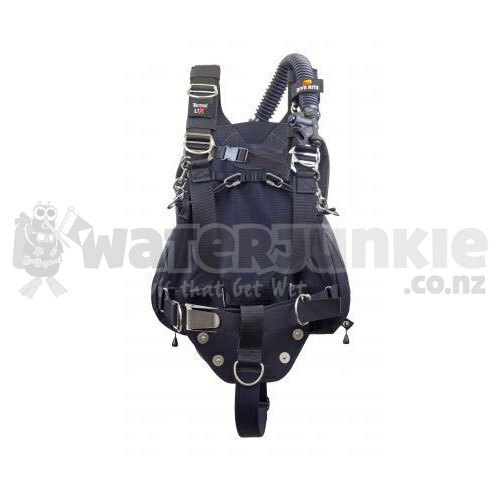 A 2" padded crotch strap holds the harness securely to the diver's body, preventing unwanted shifting of the harness. The inflator is routed over the left shoulder, and secured by an epaulet, same as a traditional BCD configuration. A pair of dump valves located at the lower outer corners of the Nomad LT Extreme give easy access to vent air from the wing with either hand. 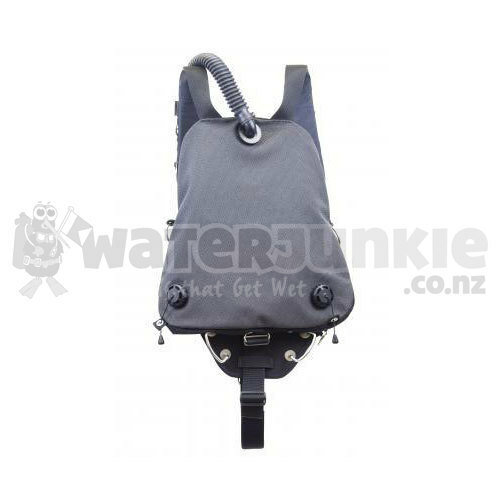 An optional 22lb lift capacity backup bladder is available for divers needing a redundant source of buoyancy. Sidemount cylinders are mounted to the Nomad LT Extreme using Dive Rite's exclusive ring bungee and choker system. Bungee length can be lengthened and shortened simply by adjusting the connection point of the bungee on the daisy chain loops located on the inside of the LT Extreme. The compact buttplate used on the LT series of Nomads provides the lower attachment point for the cylinders.